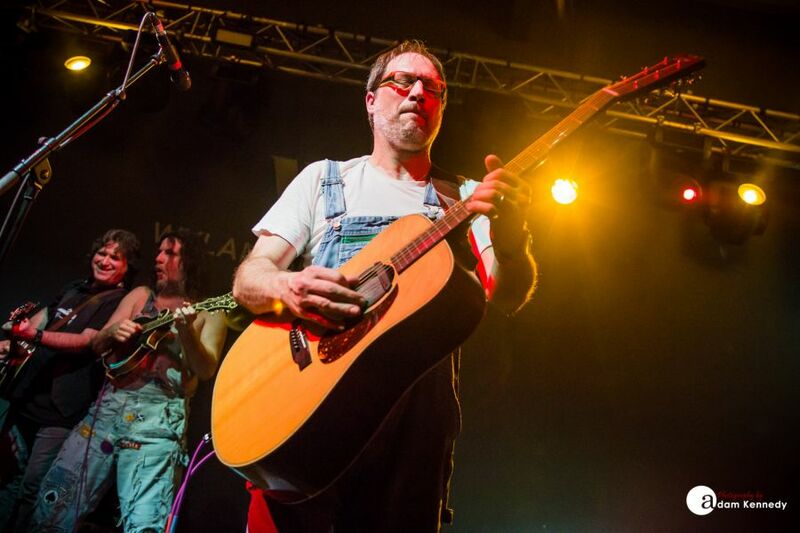 Hayseed Dixie brings their unmistakable blend of banjo-fueled, rock and roll soaked bluegrass music to a packed out crowd on Tyneside. The scene for tonight’s show being the Palace of Arts in the heart of Newcastle’s City Centre, a location which is very much an urban oasis in the middle of the city’s Exhibition Park. 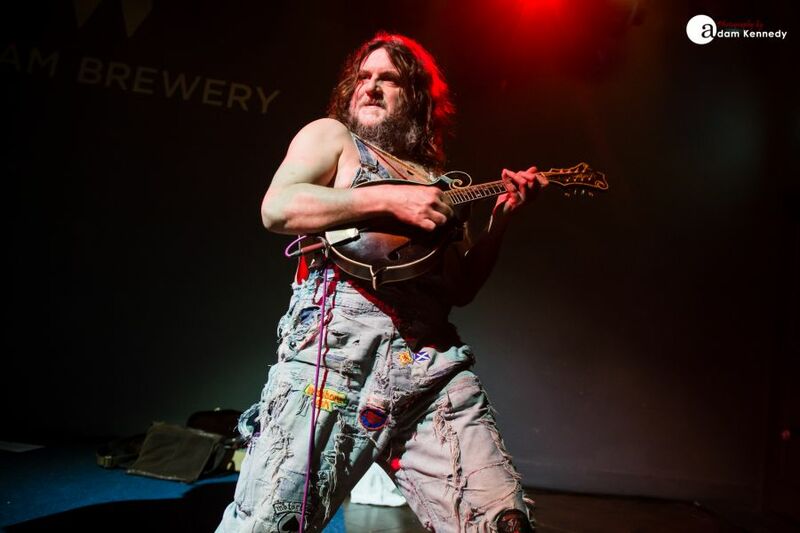 Having been derelict for almost a decade the building is now occupied by the Northumberland originating Wylam Brewery – a fine purveyor of local real ales. 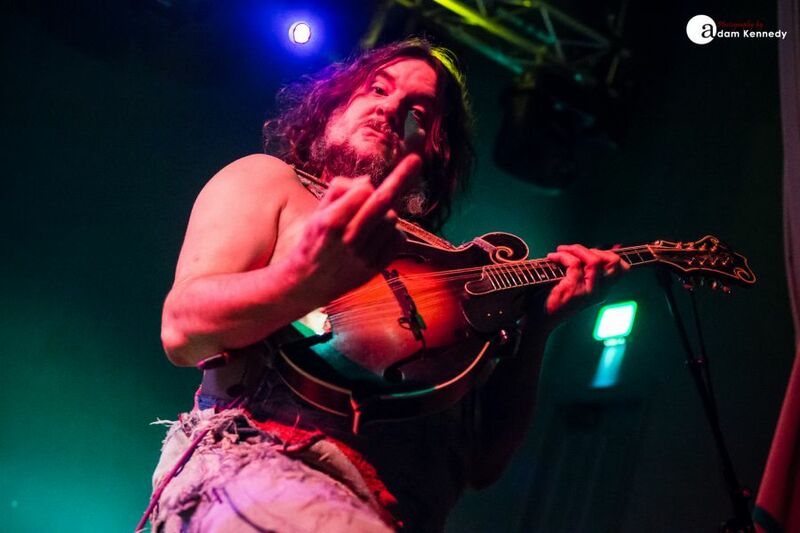 Both the band and their following are more than happy to participate in what Hayseed’s frontman John Wheeler (Barley Scotch) refers to as a ‘piss up in a brewery’. 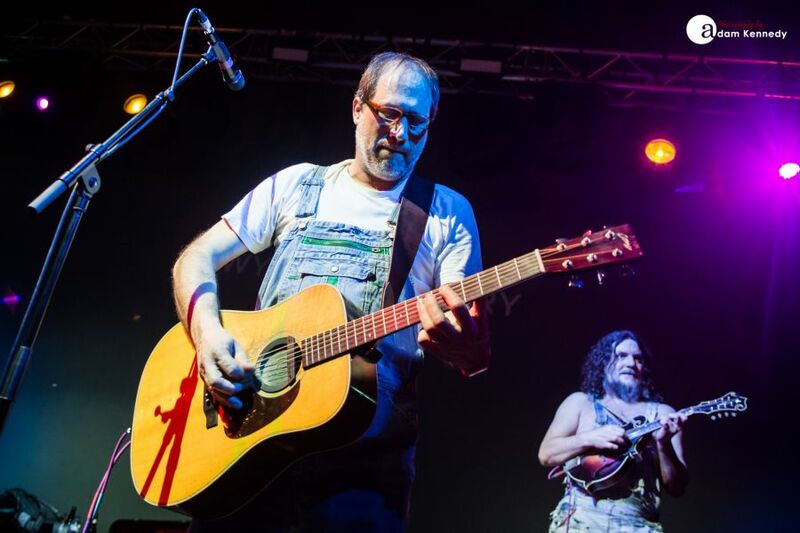 With a career spanning 18 years and a whole raft of studio albums, Hayseed Dixie showcases a setlist which delves deep into their back catalogue. 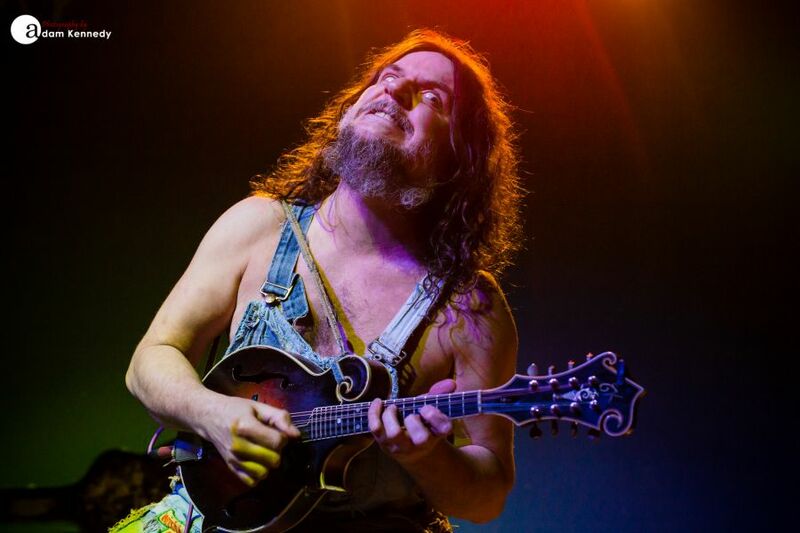 Tracks such as set opener “Chasing Whiskey Down With Beer”, the anthemic “Corn Liquor” and the affectionally titled and “I’m Keeping Your Poop” all feature in the show. 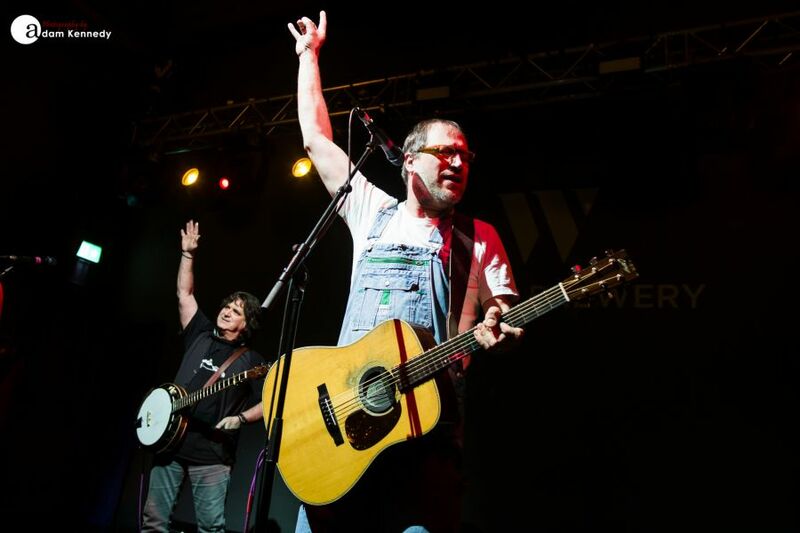 Being pioneers of the ‘Rockgrass’ genre Hayseed Dixie are well renowned for putting their own unique slant on many of rock music’s timeless anthems, and tonight’s performance is no exception to that rule. 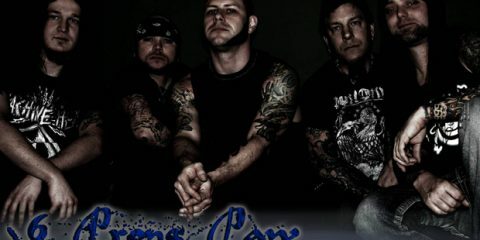 The four-piece puts forward a set that has the audience hanging on every word of crowd-pleasers like “Rebel Yell” by Billy Idol, “Love Gun” by KISS, “Ace of Spades” by Motorhead and “War Pigs” by Black Sabbath. 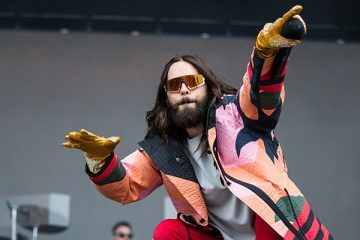 Each song is performed like you’ve never heard before. 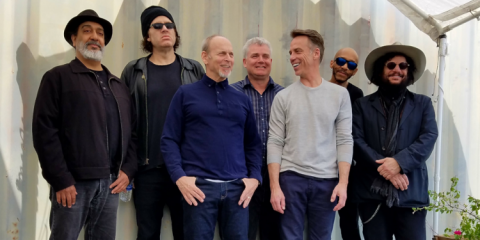 According to Wheeler, there are only four things needed for any song and that’s drinking, cheating, killing and hell and tonight it appears the band cover all of those bases. 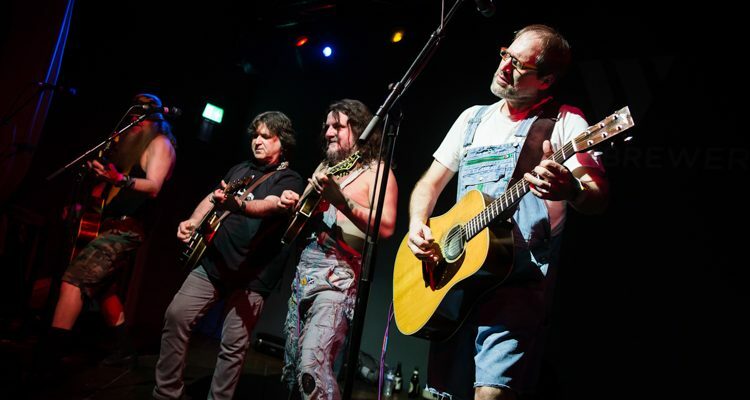 Hayseed Dixie seamlessly segues many songs in their show together whilst at the same time traversing their wide musical palette. The group make this look like a walk in the park, and tonight it’s Exhibition Park to be precise. 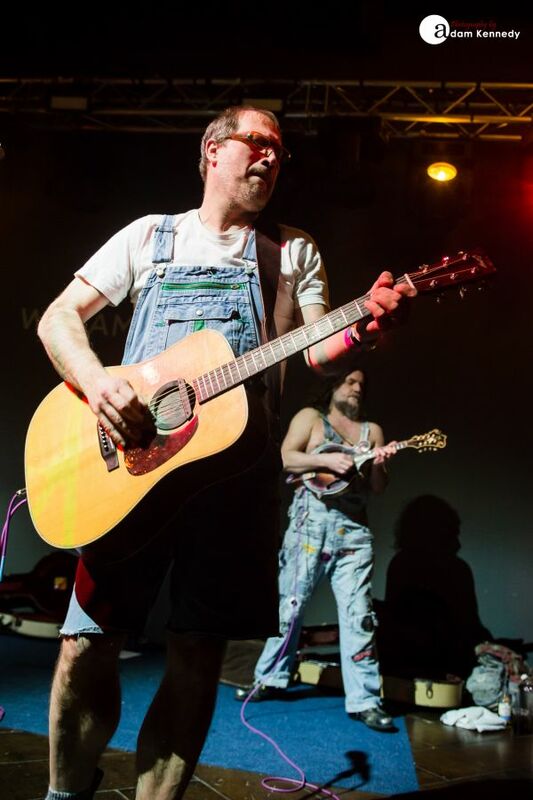 During a genre-defying mid-set medley Hayseed Dixie incorporate the likes of “Fat Bottom Girls”, Ricky Martin’s “Living La Vida Loca”, Scissor Sisters “Don’t Feel Like Dancing” and their take on Queen’s “Bohemian Rhapsody” together to great effect. 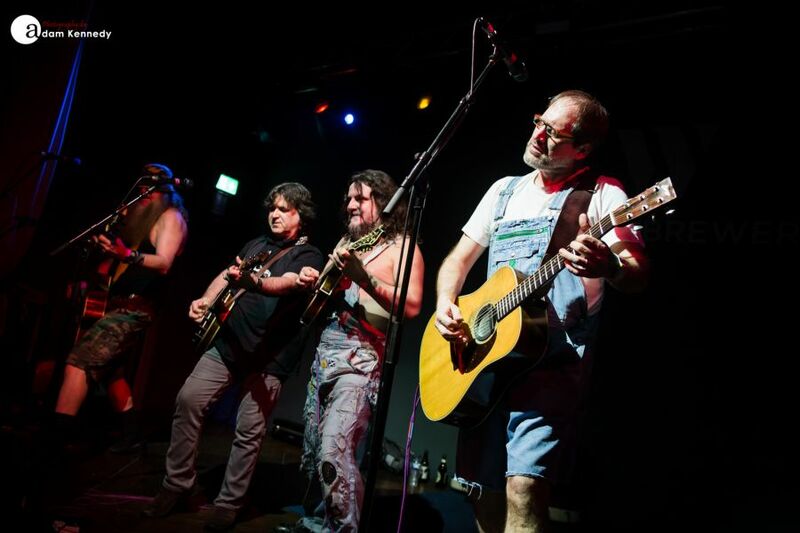 The latter of which comes complete with some superb vocal harmonies and is one of the many standout moments of the set. 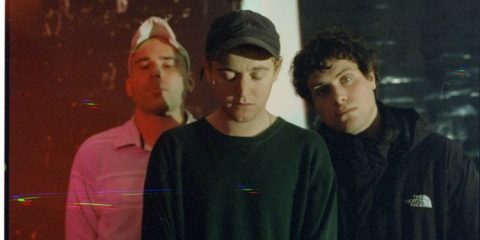 All night long the show is interspersed with light-hearted and often self-deprecating humour. Wheeler draws many witty comparisons between the UK and our friends on the other side of the pond particularly on subjects such as the NHS and the metric system. 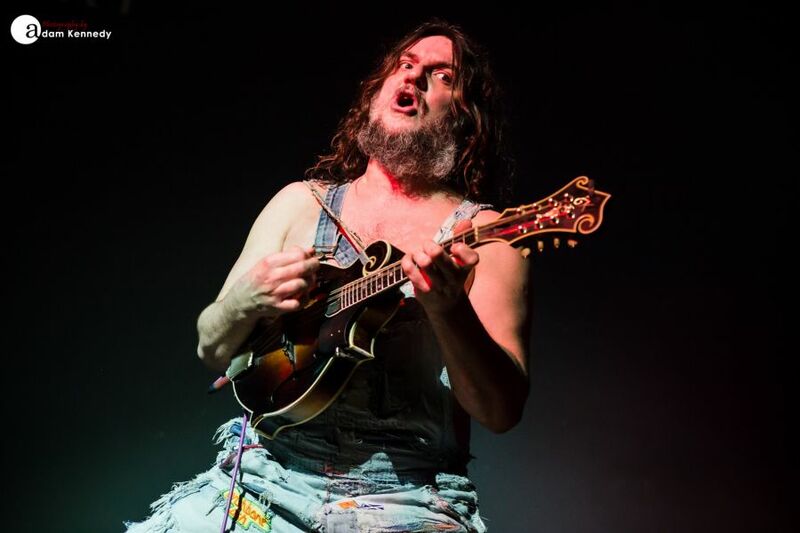 Hayseed Dixie’s main set is brought to a close with the fingerpicking battle royale that is “Dueling Banjos”, which in turn leaves the crowd wanting more. 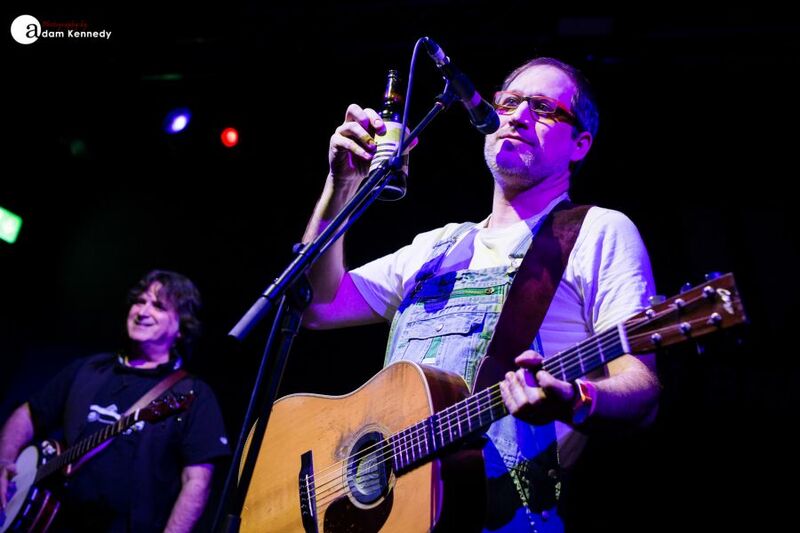 Returning to the stage for a duly deserved encore, Wheeler stands alone as he delivers his Trump inspired country ballad “Business Doing Pleasure With You” from his new solo EP. 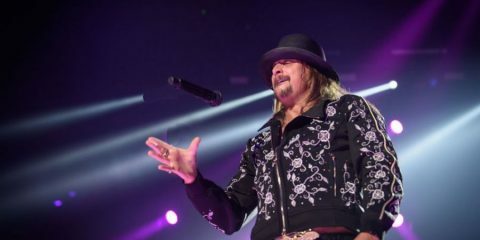 A triumphant mash-up featuring “Highway To Hell”, “Free Bird” and “Tiny Dancer” rounds out the proceedings. 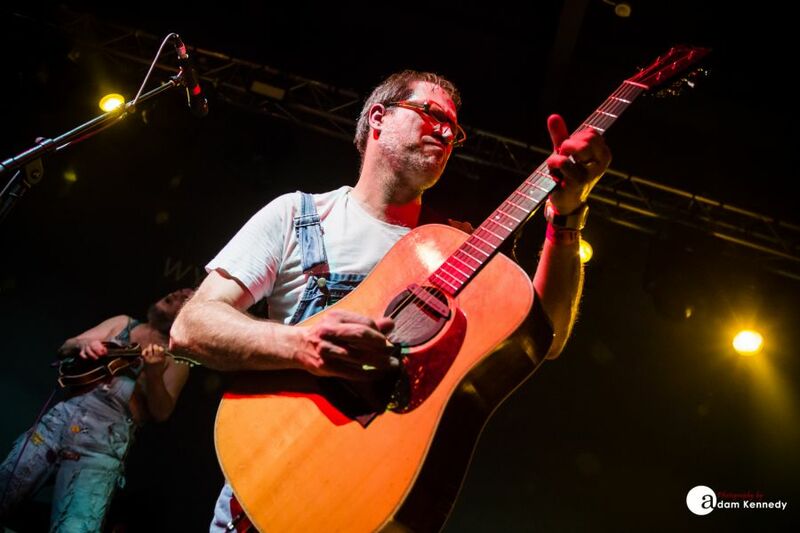 Hayseed Dixie continues to go from strength to strength whilst growing their fan base with each and every visit to the North East. 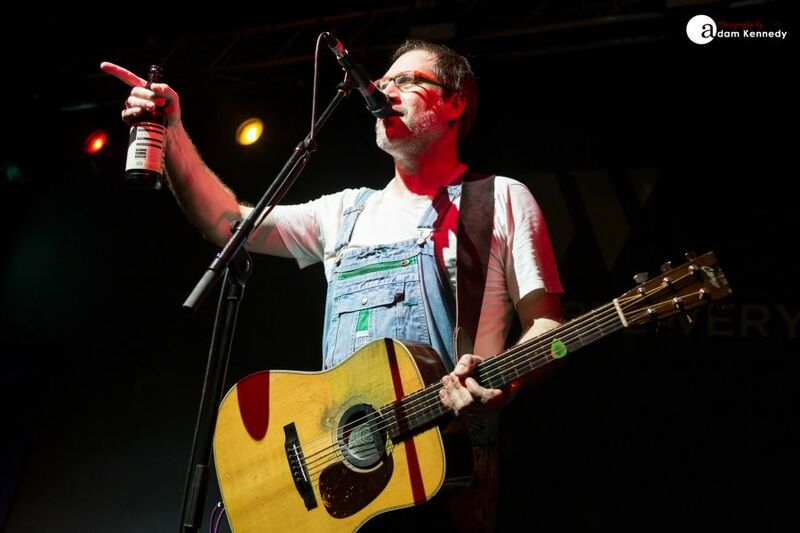 Their thoroughly entertaining and humorous live show must be seen to be believed and tonight the Geordie faithful most certainly leave the Wylam Brewery as believers.